President Obama’s approval rating has dropped to just 41% . 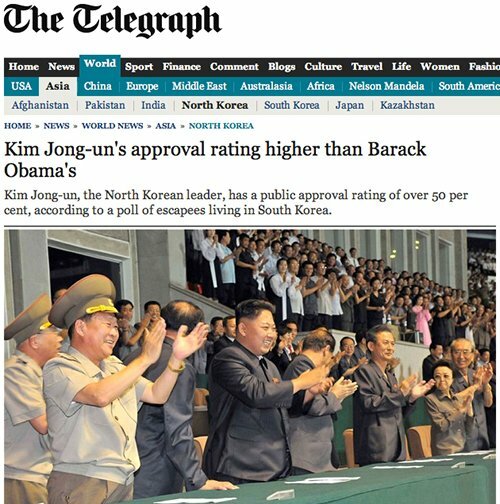 On the world leadership scale, that rates lower than North Korea’s Kim Jong-un! Just imagine how low Obama’s numbers would be if you removed media lapdogs from the percentage.